Kenya is a truly wonderful country to visit. It’s a beautiful country of red earth and green plants, of friendly, exuberant people and stunning wildlife and we have been lucky enough to visit the excellent Camp Tsavo on three occasions now. Whilst visits one and two were fantastic, it really was a case of third time lucky on this expedition. In part this was due to the brilliant staff working at the camp, whether it was Geoffrey cooking his delicious curries and chapatis, Thomas singing and dancing for us as he lit our bonfire or Peter and Ibrahim ensuring our treks, safari and community work ran smoothly we couldn’t ask for more from these guys! The team were brilliant too and entered into every activity with enthusiasm and an open mind. 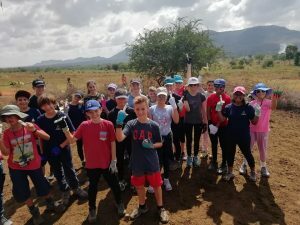 One of the great things about the Dubai teams is the international nature of the groups and we had students from a wide variety of countries including Sri Lanka, Norway, the UK, South Africa and Italy!! 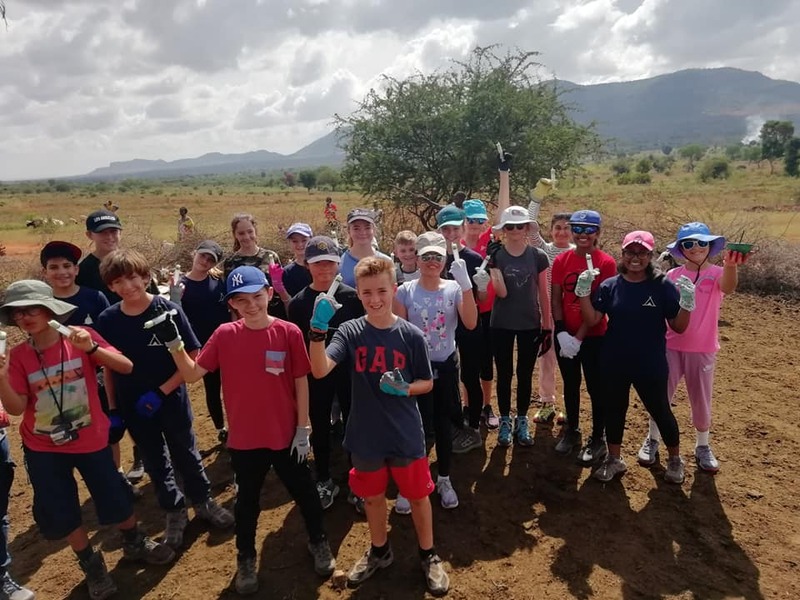 Over the course of our week we took part in a wide range of activities that emphasised personal challenge and development as well as helping the community and proving physically demanding. One of the highlights for any group (odd as it sounds) is the goat deworming where as a team we end up goat wrangling a herd of squirming, bleating beasts inside a thorn boma and try sand get them to agree that squirting deworming fluid down their neck is actually for their own good! The group managed an epic 300 goats, twice as many as any of the other teams in camp! We also worked on building the Elephant Deterrent Fence which is beautifully simple but vitally important to prevent conflict between the wild animals and the local farmers. Our other community work took place at Sasenyi Primary School, a community school that Camps have worked with over a number of years. We had a great experience there with a welcoming community of students and teachers who we really enjoyed meeting. 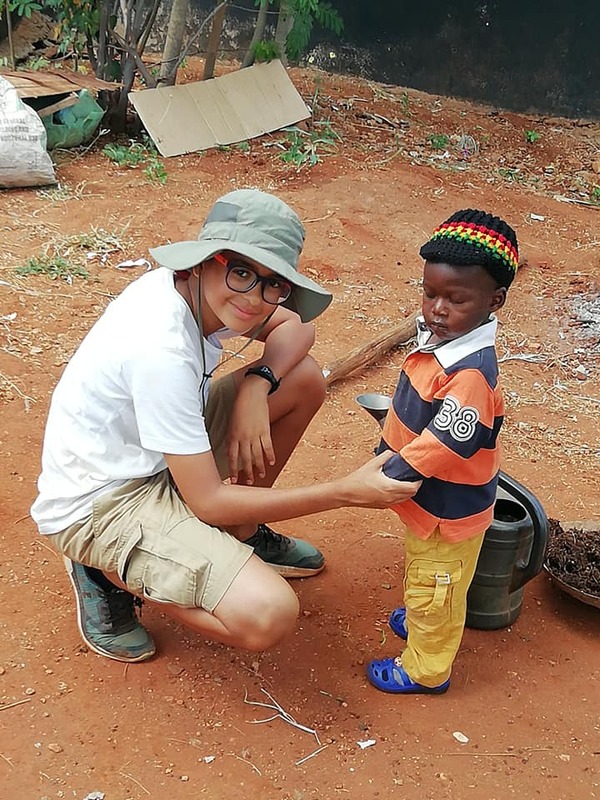 The team worked on repainting some of the classrooms which were looking a little bit worse for wear and also on making mud and cement bricks which were going to be used to build accessibility ramps for some of the classrooms. We finished the time we spent there with a huge and enthusiastic game of football with both teams claiming victory at the end of it! Our trek in the Marungu Hills was, as always, a highlight. We learned a lot about the cultural history of the people who lived in the hills and also about the clashes between British and German forces during World War one which saw members of the local community moved to the coast, many of who didn’t return for over twenty years. 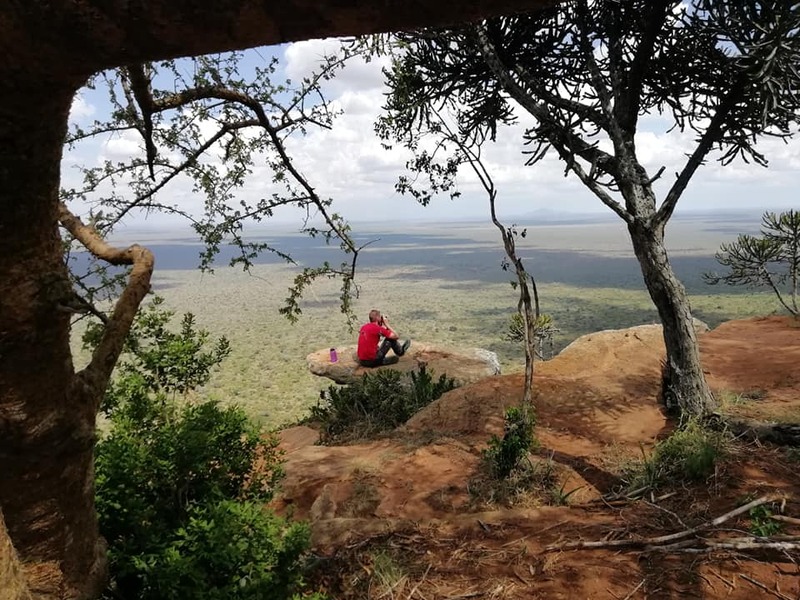 We ate lunch in a cave with spectacular views before taking on a number of bushcraft challenges including firemaking, bow and arrow work and shelter building. It’s always one of the highlights on our trips. We met the members of the Intinyi Women’s Group who showed us how to make the bead bracelets that they sell in their shop as well as the notorious Elephant Poo Paper, a classic example of the ultimate in recycling! After this we headed over to a local Masai village where we were treated to a display of ultra-impressive jumping and dancing from the local young men before a tour of the village. It was an interesting insight into a group of people who are fighting very hard to maintain their traditions in an ever modernising world which is perhaps best epitomised by the fact that the traditional houses and the thorn bomas are overshadowed by the newly built Chinese sponsored railway. 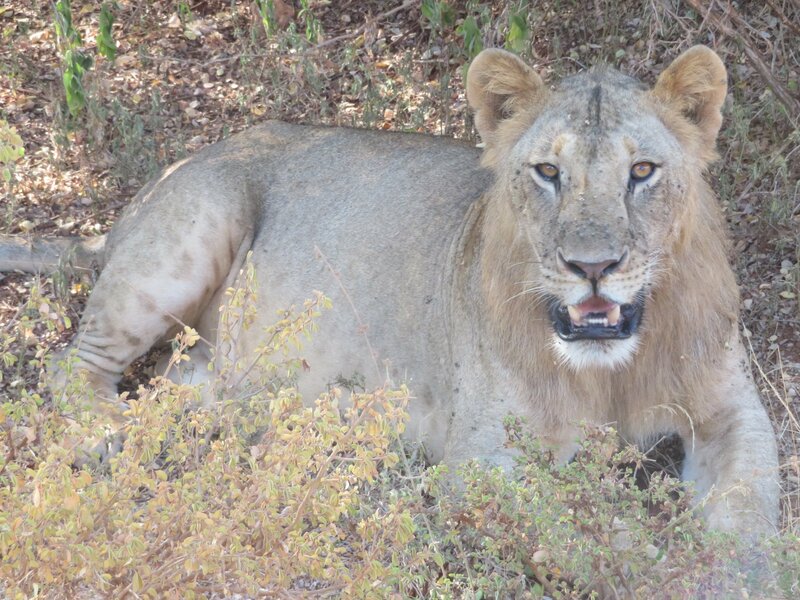 Our final adventure was our safari to Tsavo East National Park where we had a wonderful wildlife experience. We saw (literally) hundreds of Elephants, huge herds of Buffalo, numerous Lions, Elands, Hartebeest, Grant’s Gazelle, Secretary Birds. Zebras and plenty more! Yet again, it feels like a real privilege to be part of such an amazing adventure for a really great bunch of young people. In a country that is currently tearing itself apart as we try and fail to find a resolution to the Brexit problem it puts life in perspective to go somewhere where life is so genuinely challenging for the people living there. Every time I go it opens my eyes and I am happy and proud to be part of an experience that does that for other people too.